ExxonMobil PNG Ltd has invested over K5.4million since the start of the LNG project in Plant Site Village Projects to assist the landowners of the areas where it operates. That’s according to the LNG Plant Site Operations Manager Mr. Jagir Baxi when official opening the Boera Women Resource Center at Boera village in Central province yesterday. Baxi said as part of company's commitment to helping people at the project impacted areas, the company will continue to provide the assistance where needed. “Working in partnership with our local communities is extremely important to us. We are investing heavily in community development programs to promote economic growth and improve the quality of life for people of this country,” said Baxi. Meanwhile, in addition the Boera Women’s Resource Centre, ExxonMobil PNG has recently opened a new community hall for the Lealea village and refurbished a teachers' staff-room for the Radscar High School. In addition, Baxi said ExxonMobil PNG will soon open a new double classroom at Papa Community Preschool as it continues to assist the plant site villages. Picture1: Baxi cutting the ribbons to official open the Boera Women Resource Center. Picture2: Baxi giving his key note address at the opening ceremony of the Boera Women Resource Center. 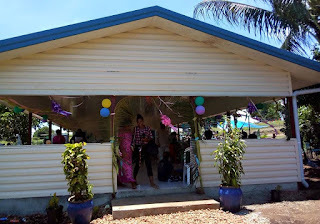 Picture2: The new Boera Women Resource Center.